Selective oil reclamation - ! Equipment for Transformer Oil Reclamation. GlobeCore. 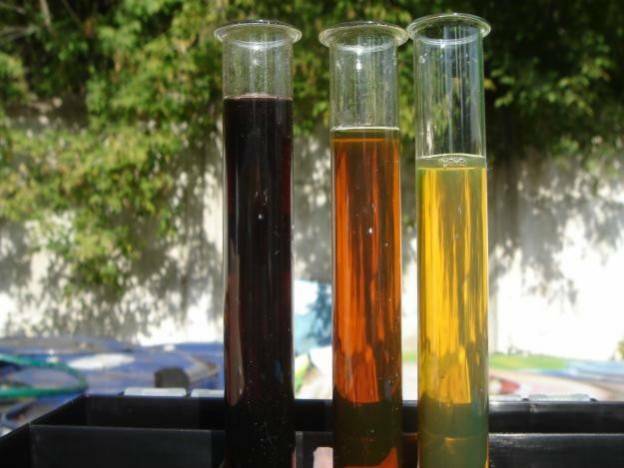 Selective oil purification originated when it was noticed that some chemicals have different influence on components of the oil. The idea was to try that effect on oil produced from crude. Today, selective purification means selective removal of contaminants from the oil. The oil contains various substances, some of which can be effectively influenced by a solvent. It should be selective and have high solving ability to remove only the contaminants to the required degree. If the solvent has sufficient selectivity, product output will be significant/ If the solvent is highly selective, but low solvency, its consumption may be too high. The first conclusion is that high selectivity influences quality and quantity of the output product, while its solving ability influences the process economy. A solvent with insufficient solving ability, benzol or toluene should be added to it, since they are best at solving oil products. In the opposite case, the amount of the component with high solvent ability is reduced by adding water to the solvent. There are a number of solvents for selective transformer oil purification in the market, but the most widely used are furfurol and phenol. Phenol used to be applied widely for production of oil from sour crude. Schematically, if oil component are presented in a form of “stair” by decreasing solvency, there will be the following steps: tar, sulfur and nitrogen compounds, aromatic hydrocarbons, naphtene hydrocarbons and paraffin hydrocarbons. Phenol’s selectiveness can be increase by adding 3-5% of water to it. The amount of product output depends mostly on the quality of the raw material, as well as the degree of selective purification. On average, this is 70%. In practice, the oil is purified selectively in special extraction columns with plates. The latter are required for the direct contact of the solvent with the distillate, resulting in extraction of the undesired components.